Prepare yourself for top level job applications with Assessments 4 Students.\n\nPractice the most common types of assessments used by companies during applications (Consulting, Banking, Consumer Goods, etc.) when testing your capabilities, IQ, aptitude and talent. Assessments 4 Students (A4S) includes: Number Sequences, Analogies, Figure Sequences, Visualizations (cubes), Syllogisms and an Exam Mode. Some of these categories are similar for IQ tests or GMAT questions.\n\nPracticing assessments will increase your chances of landing that dream job and start your career. For most practice material you need to pay and the quality may vary. 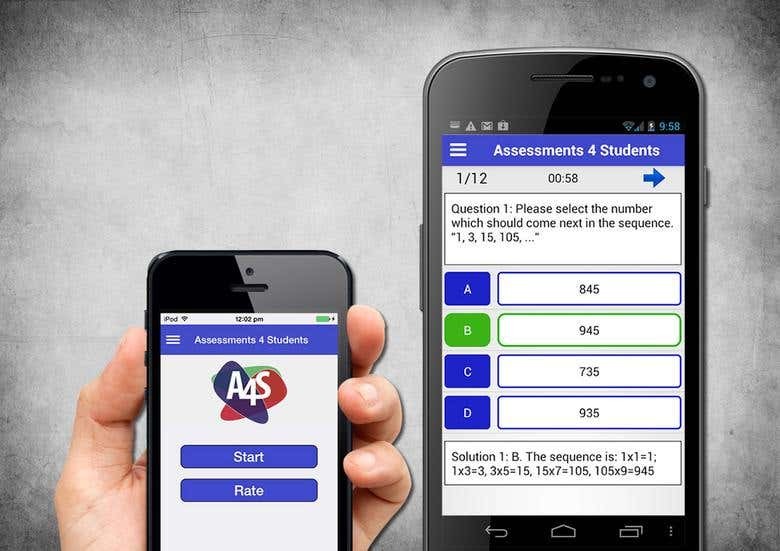 Assessments 4 students is not only top quality, but also completely free. So why don’t you give it a try and see for yourself? Put your brain to the test and start practicing assessments!